The 2017 Chevrolet Equinox compact crossover features a spacious interior, efficient fuel consumption, a variety of powertrains to suit all takers, and a four-wheel drive option. The 2017 Equinox model has seen a lot of changes compared to its predecessor. Many valued features from the 2016 model have been migrated to the 2017 version with a few tweaks. The safety features of the 2016 Equinox have seen little change while the appearance has been tweaked a little to make the Equinox stand out on the street. The excellent features of the 2016 Equinox paired with better looks create a compelling reason to buy the 2017 Chevy Equinox. On the showroom floor, the 2017 Chevrolet Equinox looks like a smaller version of the Chevrolet Traverse. The Equinox has a beefier feel than most of the crossover line, and it borrows a lot of design elements from the Chevy’s truck line. The Equinox manages to feel more like a car than a truck while still maintaining its versatility, high-tech features, and performance. The 2017 Equinox is available in four trim levels. The trim levels include L, LS, LT, and Premier models. You can get your hands on all of the trim levels of the 2017 Chevrolet Equinox for sale in Pauls Valley near Oklahoma City, Bethany, and Moore. The standard features on the 2017 Chevrolet Equinox L include air conditioning, a navigation system, reclining back seats with a 60/40 split, steering wheel with a telescoping and tilting feature, customizable height and lumbar driver’s seat, cruise control, 17-inch alloy wheels, and cloth upholstery. You also get a high-quality sound system featuring 6 speakers, AUX and USB ports, rear camera, 7-inch touchscreen infotainment system, Wi-Fi/4G Hotspot, OnStar Communication, and Bluetooth connectivity. The 2017 Chevrolet Equinox LS model has all the standard features of the L version. The LS also includes satellite radio, four-wheel drive option, and an optional towing system. The LS model also features 17-inch wheels, and body color bumper and door handles. The 2017 Chevrolet Equinox LT model includes all the standard features of the LS along with the MyLink infotainment system, privacy glass, and LED lights. The 2017 Chevrolet Equinox Premier is the highest trim level that you can get your hands on. It includes auto climate control, auto-dimming rearview mirrors, 8-way driver seat, front seats (heated), leather-wrapped steering wheel, remote ignition, leather upholstery, fog lights, alloy wheels measuring 18 inches, firmer suspension, and an exterior with chrome accents. The Equinox has not seen many changes under the hood since 2010. It continues to rely on its trusted base inline-4 engine or an optional V-6. The 2.4-liter inline engine is considered to be the best in its class. It is able to provide the Equinox in 2017 with 182 HP. The variable valve and direct injection features give the Equinox an unmatchable performance. The Equinox features a 6-speed automatic transmission that can help the car reach 60 miles per hour in a mere 9 seconds. If you require additional power, then the Equinox is also available with a 3.6-litre V6 engine. The inclusion of a V6 transforms the Equinox into a hauling and towing master. It can tow up to 3,500 lbs. as compared to the inline-4 that can only handle 1500 lbs. The V6 has the ability to generate 272 lbs. of torque and 301 HP. These stats are more than what an average family would require from a crossover. The Equinox is available in four-wheel drive with either engine. The Equinox is a very fuel efficient vehicle despite its size. Under the two-wheel drive option, the Equinox was able to earn the rating of 25 MPG on average. The MPG drops to 23 under the four-wheel drive system. In its crossover class, the Equinox is one of the most fuel efficient cars. The four-cylinder engine comes with an additional ‘Eco’ feature that decreases the fuel consumption even further by reducing power to air-conditioning and other optional accessories. The Eco mode adds a new level of efficiency and control to the car. The V6 engine has higher fuel consumption but it lends immense power to the 2017 Equinox. The EPA awarded 20 MPG combined ratings for the 3.6-litre two-wheel drive model, while the four-wheel drive was able to earn a decent score of 18 MPG. 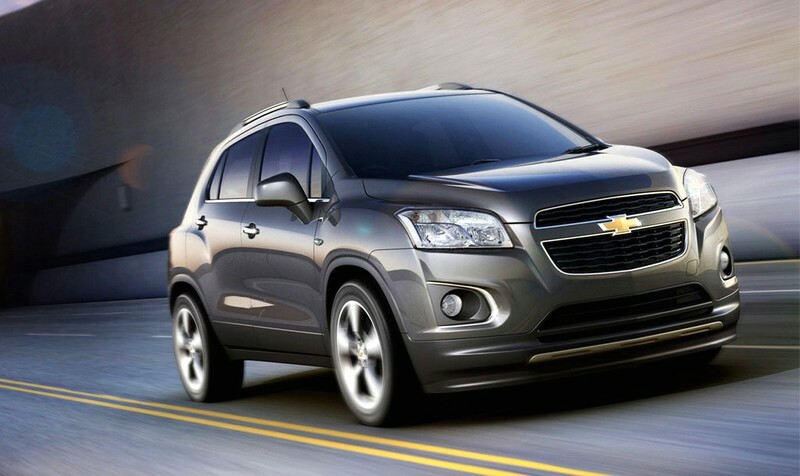 Initially, the Chevy Equinox had a very similar look to the GMC Terrain but with a more compact design. The latest tweaks gave it a more contemporary look that goes nicely with the rest of the Chevy lineup. The 2017 Chevy Equinox takes a lot of cues from the Traverse - one of the very well-designed vehicles under the Chevrolet lineup. The Equinox has a beefier look than Traverse and has several style elements that are remnant of the Chevy’s truck lineup. The Equinox is closer to a car than a truck and it has a nice profile that features some sharp details and nicely tuned proportions. At the front, the Equinox has a two-port grille, sculpted fascia, and a new hood shape. The LT and LTZ models feature LED lights on the headlights. The V6 model has a chromed exhaust, while the LTZ model gets the addition of fog lights. The Equinox retains its traditional 2010 look, but with a few tweaks and upgrades that create a stronger profile for the car. The taillights also feature the traditional square shape that has been the hallmark of many of the Chevy models. The interior of the Chevy Equinox in 2017 saw many upgrades. It now features an extra storage compartment, vivid interior, new panel, and chrome shift buttons. The 2017 Chevy Equinox offered for sale near Oklahoma City in Pauls Valley is larger than a compact crossover. It is a perfect car for families that do not require the 3rd row of seats and desire a luxurious, comfortable and reliable vehicle. The Equinox handles much more smoothly compared to the Chevy Traverse due to its smaller size. The 2017 Equinox also has a more organic look that many buyers find extremely comfortable and pleasing. The front passenger seat is very well designed. All the trims have very comfortable seats with beautiful curves that provide perfect back support. The upper trim versions such as the LTZ have dual stitched leather upholstery that adds a luxurious feel to the interior. The back row seats can easily accommodate two full-sized adults with plenty of leg- and headroom. The seats can slide 8 inches back to provide additional room for cargo or more people. Its high level of safety and spaciousness make it a perfect family vehicle. The 2017 Equinox has a more polished look compared to its predecessors. The addition of high quality material in the interior has substantially enhanced the luxury of the Equinox. The stability and comfort of the Equinox are aspects that will impress you when you take it for a test drive around Moore, Edmund, or Mustang near Oklahoma City. It has a luxurious feel that is on par with a Cadillac or Buick. It features a soundproof interior that creates a cozy environment for you. With the Chevy Equinox in 2017, you’re protected from all the vibrations, irritating sounds, and noises of the busy streets through which you drive. When it comes to storage, the Equinox has a host of small spaces where you can stash your electronics, chargers, and other stuff in. It is a perfect vehicle for long family trips or vacations, as its comfort is without question. The Equinox in 2017 also does not disappoint when it comes to safety. It managed to earn its way into the Top Safety Picks in 2016 from the IIHS. The Equinox managed to earn the ‘Good’ rating in all of the crash tests except for the optional crash mitigation systems. The Equinox is considered to be one of the safest cars that you can take on the road. All the trims of the Chevy Equinox feature a rear camera as standard. The 4-wheel disc brakes add another level of safety while enhancing responsiveness. It is packed with a horde of other safety features that can be extremely useful in case of a collision. The OnStar Emergency System, stability control, and crash alerts are some additional safety features that you get with the 2017 Chevrolet Equinox. The Equinox is packed with all the safety features that have become standard in modern vehicles. Lane departure and forward collision alerts are available on the Equinox. The LT and LTZ models have additional safety features in form of blind spot monitoring and cross traffic alert. Exemplary safety features, a perfect drive, a spacious interior, a wealth of tech, and good gas mileage make the Equinox a perfect family vehicle choice. Accomplished in everything it’s set out to be, the 2017 Chevrolet Equinox for sale in Pauls Valley is probably your best choice for a compact crossover this year.